The South Australian Beach Volleyball Series offers a top line competition for elite players, as well as competitions for competitive teams, social players and junior athletes. 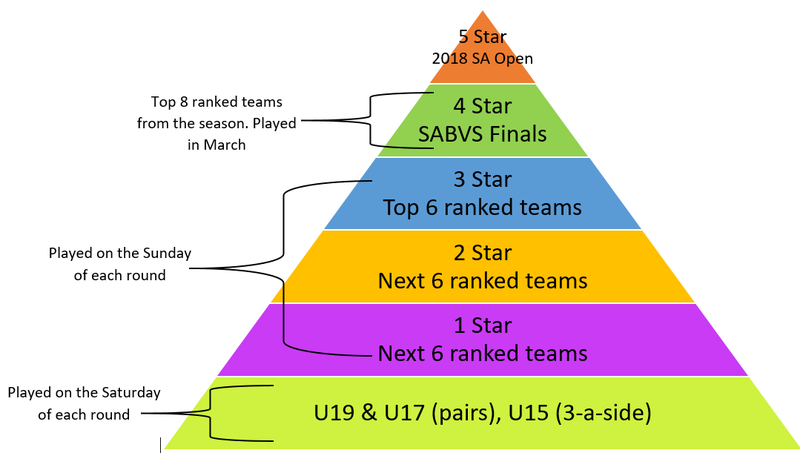 Unlike indoor Volleyball competitions which are played weekly, the SABVS is played on one full day every 2-3 weekends throughout summer (depending on what age group/division you are in). SABVS enables you to pick and choose which dates/competitions you would like to nominte in, which means you do not have to commit to a season. The more SABVS rounds you play in, the more ranking points you gain to work your way up the individual rankings ladder. You can also pick your own partner and nominate online yourself before the close date which is usually the Tuesday before the weekend round.